21/01/2017: With the toddler patch breaking a few things, I have taken the opportunity and gone through and updated my sets to fix issues and generally improve on some things. 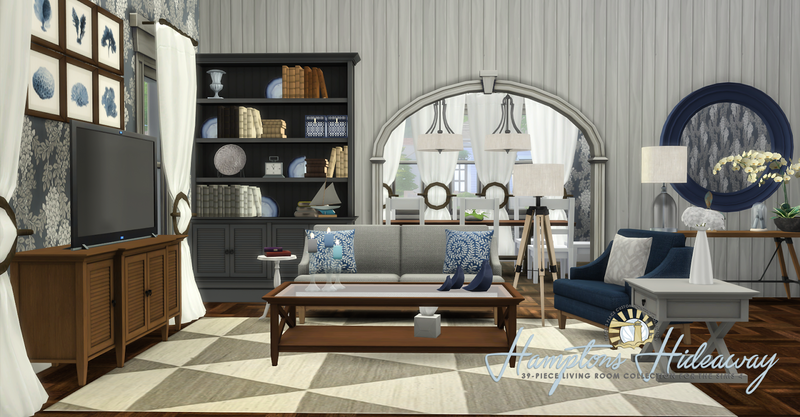 Here, I have updated all seating with tags and toddler rigs, updated bookcase for toddlers, fixed leaning mirror so it doesn't get script errors, and turned the occasional bench into a love seat so sims can't sit through the sides. 21/07/2016: Set updated for July Lighting patch. So amazingly awesome. You are doing such beautiful work. Thanks so much. Wow! Amazing as all your sets!!! Dowloading now! Thanks! you are so talented! your creations are my favorites! Very amazing creations dear! You got to do some tutorials on how you make all your beauties. Wow - this is so amazing. Wish I had just a little of your talent! if you have ticked the box in the options menu to enable cc, that is all you should do. Ensure your game is fully up-to-date too. Also perhaps check your mod folder setup is correct, there is a link up the top with help links for that. Unfortunately, I can only give the general help tips asa lot of times, these individual reasons for cc not showing up is system specific and hard to pin point. Thanks for your reply! After posting my question I discovered that a couple of other recently downloaded items did not show up either. Browsed the forums and searched for possible reason and came to the conclusion that the most likely reason is not having the last game pack and update yet - sorry, my mistake. :) I will update my game sometime soon and hope to see and use your truly amazing sets in game. Once again - thank you for creating such beautiful, clear and original items! All the best! It took a while (summer vacation and all that ...) but I just wanted to confirm that all items that did not show up earlier work just fine after updating. 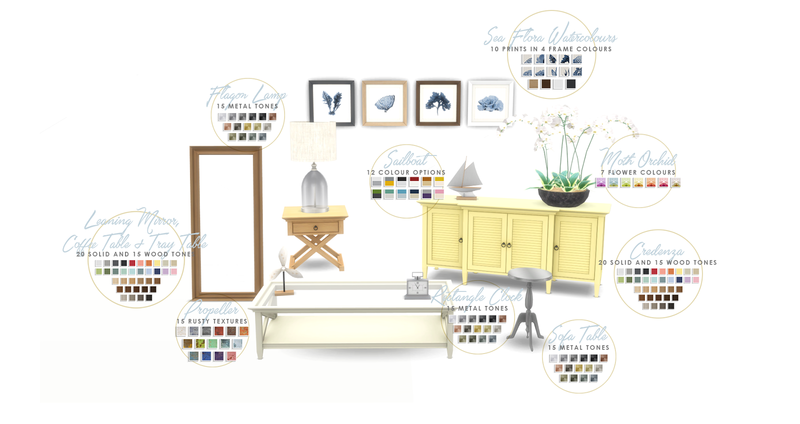 :) So very happy... :D Thanks again for sharing Your creations and support! Thank you so much for sharing all this ! Fantastic ! Thank you for all your work! I'm having a bit of an issue with some of the lighting pulling up a "script call fail" error after todays update =/ is there a way i can fix it? I love your creations, but since the new update or from the expansion dogs and cats there are two conflicting files that make the sims can't do some things, like eating, these are the names of the two files that fail: PC-TS4-HamptonsHideaway-Merged and also PC-TS4-MCA-Merged, I hope you can fix them because I'd love to have them in the game, I hope you can fix them because I'd love to have them in the game. 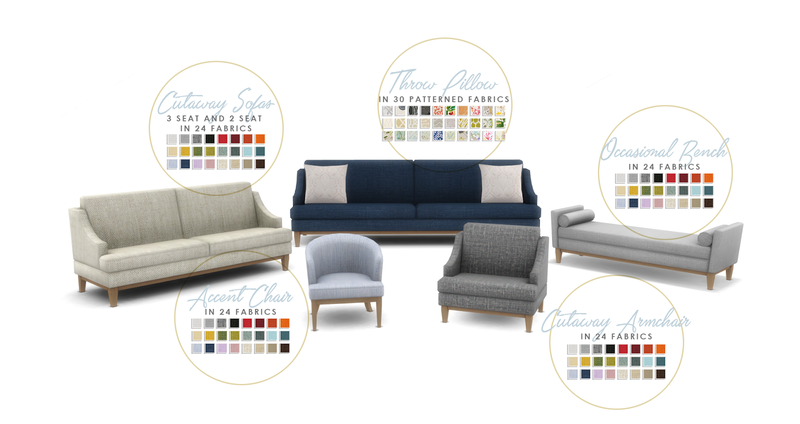 That would be bedding and sofas in those merged files. Head to the s4s forums for a new version of the program to run a batch fix to update those filesin the mean time while I update the originals. This all is unrealistically cool! I downloaded almost ALL of your work !!! Hello, Peace: I have most of your sets and love your work. 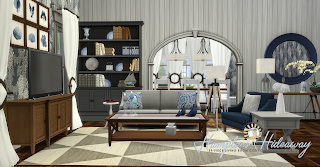 As an FYI, I am in the process of testing some of your items at the moment and ran across a last exception attribute error with the three Verre candlesticks in the Hamptons Hideway Collection, which I believe is related to a sim viewing them. Thanks for sharing your talents! Thanks for letting me know, i will take a look and see if i can rectify the issue. Thank you so much for making that fix to the candles so quickly! 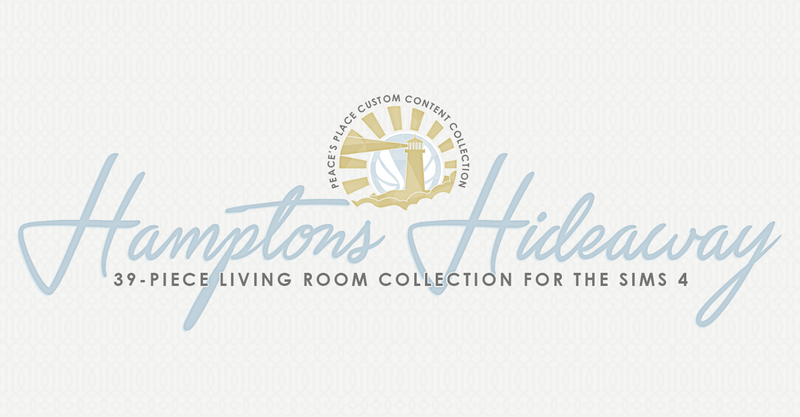 Your Hamptons sets consist of my favorite items in the game that I use in nearly every one of my builds! They are so classic and elegant, while also being fresh and contemporary. The candles haven't been updated yet (they are really just broken for pets investigating them) so be sure to keep eye on the update in the near future. Did you remove the old files before adding the new ones in? I delete the merged file and downloaded the new merged file. Other objects in the set works.. I downloaded the merged file myself and checked it ingame and they all work fine. I would double check you don't have a duplicate file somewhere in your mods folder, and also make sure your game is fully updated. That depends on what a person defines Maxis Match as, and I cannot answer that for you. hi,is this still okay to download with the cats and dog patch/laundry day stuff? If you read the updates section in the post, it says it has been updated. The laundry patch did not break anything. I love the darker blue wallpaper on your first picture of this page. Where can I download it? it's so pretty! Love this set but it needs a matching desk.